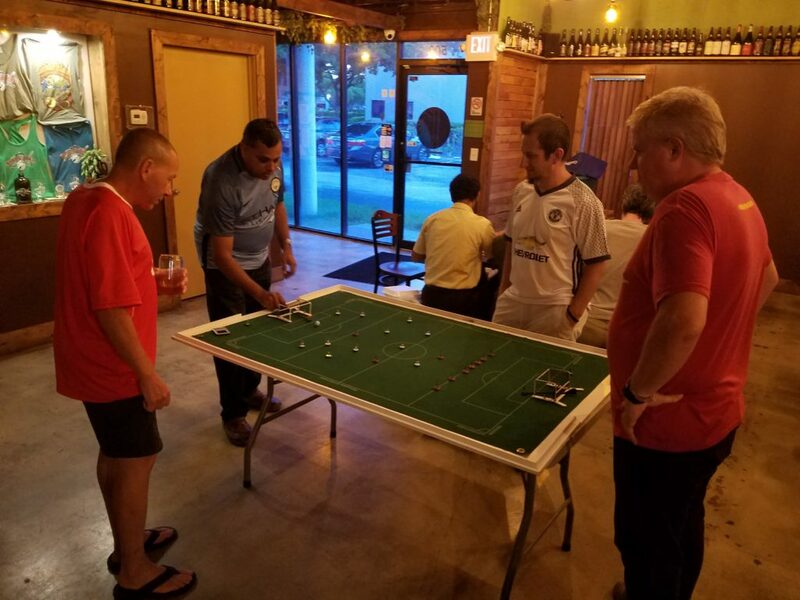 Last night at Bangin’ Banjos Brewing Company, the top 3 teams thus far in 2017 had the opportunity to face off against each other. Garage Soccer FC, the current leader and one time favorite, struggled going 1-2-1, with losses to both Swansea City and Devils Palace, the second and third place teams respectively. Boca Raton FC played a game against a new player as well as tied Swansea City.